An easy to make, sweet, salty and delicious grilled appetizer! 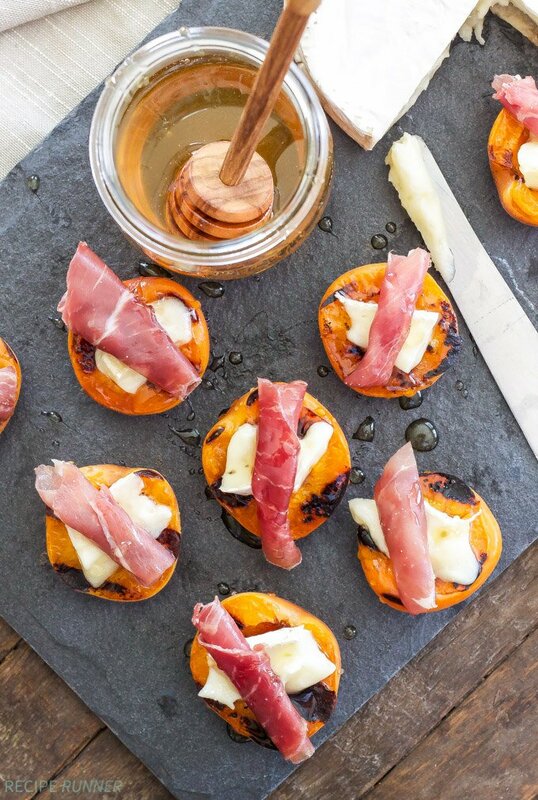 These Grilled Apricots with Brie, Prosciutto and Honey are perfect for your next barbecue! Since the Colorado peaches still haven’t hit the stores and I’m refusing to buy anything else because they’ve spoiled me rotten, I’ve settled on apricots until that glorious day when I spot them. I don’t have a problem with apricots, it’s just they tend to be hit or miss. I guess the same goes for any kind of fruit. Last Sunday we stopped at the farmers’ market so I could load up on a week’s worth of vegetables and while we were there I spotted a stand with some lovely little apricots. Since I already had the idea for these Grilled Apricots with Brie, Prosciutto and Honey in my head I ran over and bought a basket. Whenever I can I love supporting the small farms and buying produce from them, even if it does cost a little more. At least I know they didn’t have to travel far to get here. It must have been my lucky day because the apricots were perfectly sweet and would be great for this easy appetizer. I love to grill fruit for appetizers, especially stone fruit because it holds up so nicely. The flavors intensify and sweeten and I’m a sucker for those grill marks! 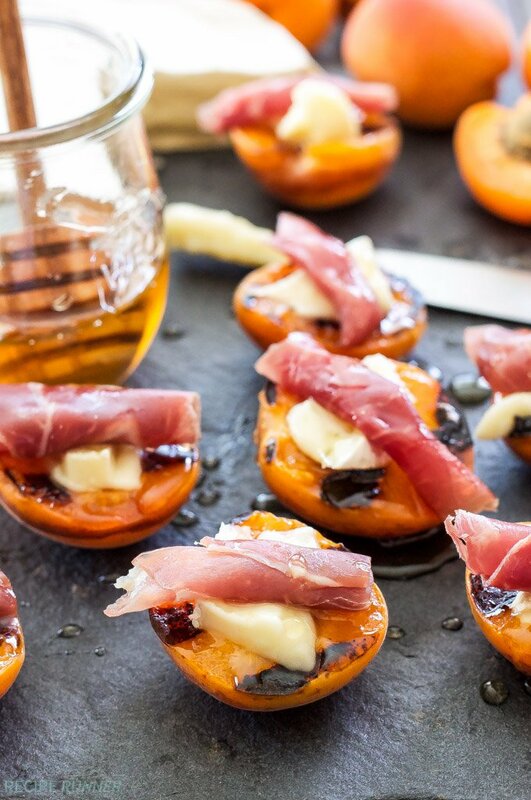 The process for making these Grilled Apricots with Brie, Prosciutto and Honey is so simple anyone can do it. Start by letting your brie come to room temperature to ensure that it is nice and soft when placed on the warm grilled apricot half. Once the brie comes to room temperature cut small wedges of it that will fit nicely on the apricot halves. 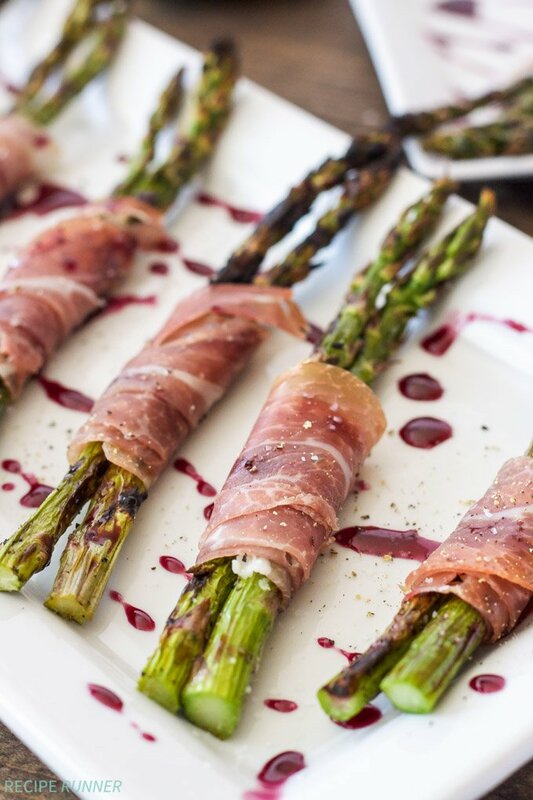 Take a few slices of prosciutto, cut them into thirds then roll them up. Next, halve the apricots and brush them with a little oil so they don’t stick to the grill. 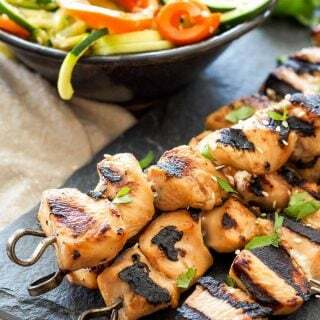 Place the apricots cut-side down on the preheated grill and grill them for a few minutes until they soften slightly and have nice grill marks. 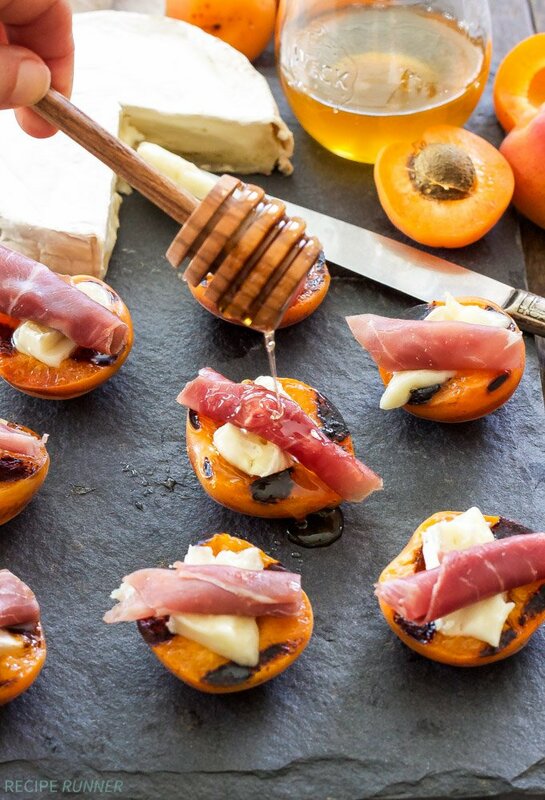 Put the apricots on a serving platter and top with the brie, prosciutto, and drizzle with honey. That’s all there is to it! 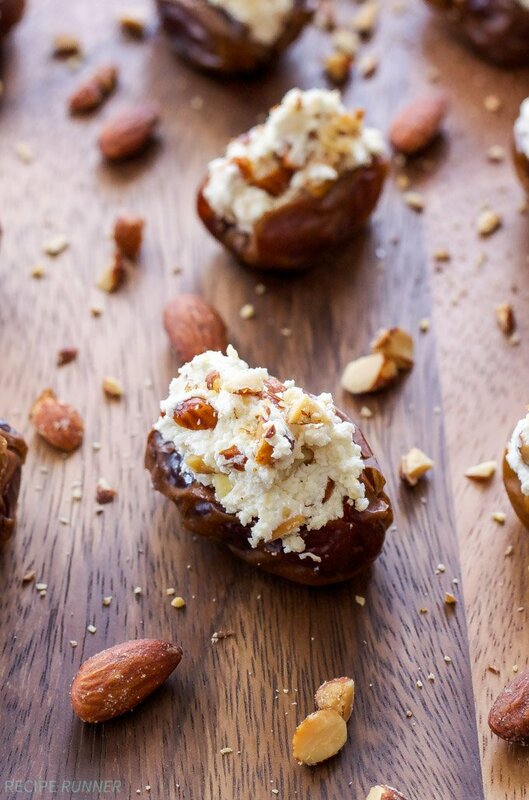 An easy, sweet, salty and delicious appetizer! Brush the cut side of the halved apricots with a little oil or spray with cooking spray. Place the apricots cut side down on the grill and grill for several minutes or until slightly softened and grill marks are present. 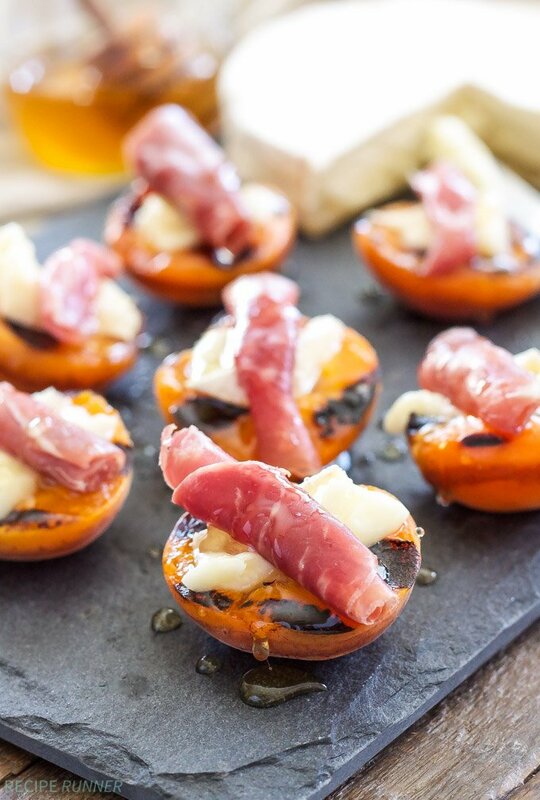 Place the apricots on a serving plate and immediately top with a slice of brie and rolled up piece of prosciutto. Drizzle the apricots with honey and serve. Best served right away as the longer they sit the more juices the apricots release. I'm drooling over these! They look like a beautiful way to make a cookout a bit fancier! Love this! This looks fantastic! I think I could enjoy it any time of the day, even breakfast! I loved that you added honey to this. It's one of my favorite ingredients, a natural antiseptic. I don't think people cook with it enough. I love grilled fruit! 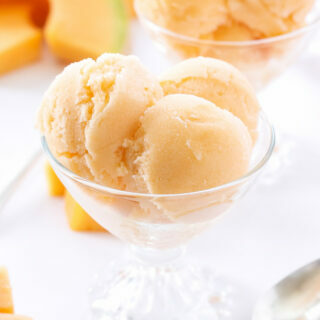 The sweet and savory combination is so delicious! These look so delicious! 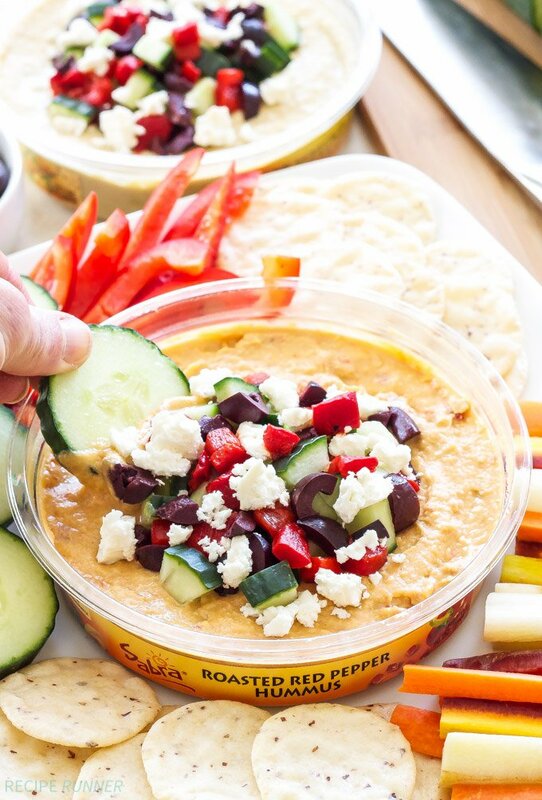 Perfect for summertime cookouts! 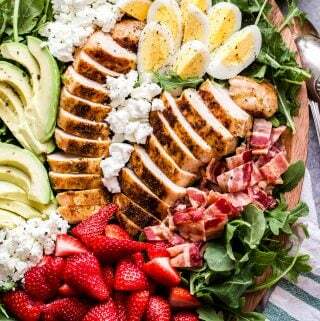 What a lovely appetizer -- adore your mix of flavors here.